I just got the new Atmel ICE to have some fun debugging my assembler code for tiny13A and 45. Normalny, I use USBasp programmer with Eclipse, avrdude and Atmel toolchain, or with smallest chips, gavrasm, vi and avrdude. Could you please help me? How to debug gavrasm with ICE? Or C code in Eclipse? I have gdb and Eclipse ready for debugging, but there is a missing link. No idea about gavrasm. Is moving to AS and Windoze only option? Or C code in Eclipse? I have gdb and Eclipse ready for debugging, but there is a missing link. There are some who are enjoying AVR Eclipse with a debugger but JTAGICE3 or JTAGICE mkII. No; Atmel has a few instructions for VirtualBox and mentions virtualization. IIRC Cliff has Windows XP on Linux with a JTAGICE mkII and Atmel Studio 6. Most PC-style notebooks and PCs come with Windows and have either a ready Windows partion or a Windows install partition; there are VM instructions on how to start with those. There are a relatively few to several VAR that have, off-the-shelf or configured, dual-boot (Linux, Windows). 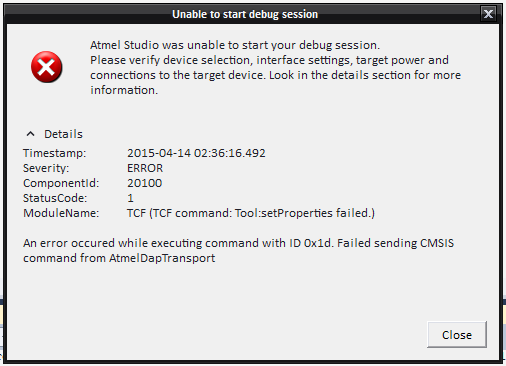 Atmel Studio takes a very long time to start on my PC, but runs well in a VM environment. Is there something I can do with this? Thank you very much! I will try the VM way. Don't get your hopes up for VM. 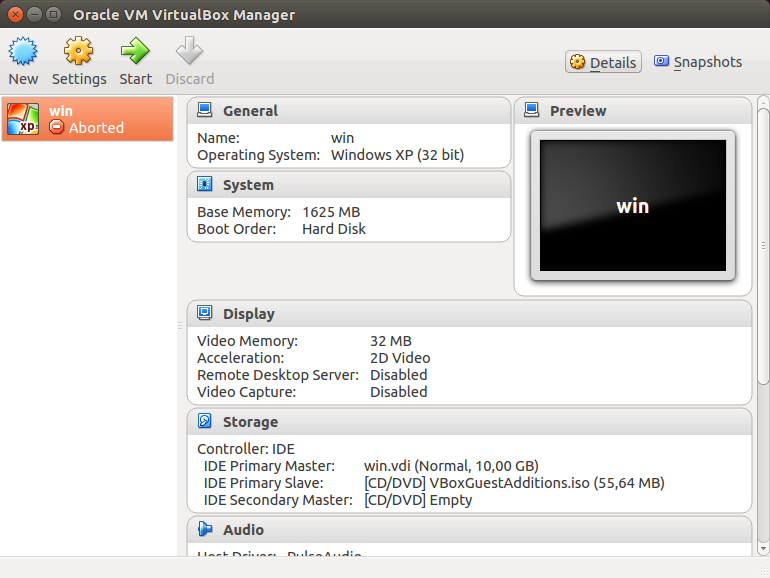 I run AS6 in a VirtualBox VM. 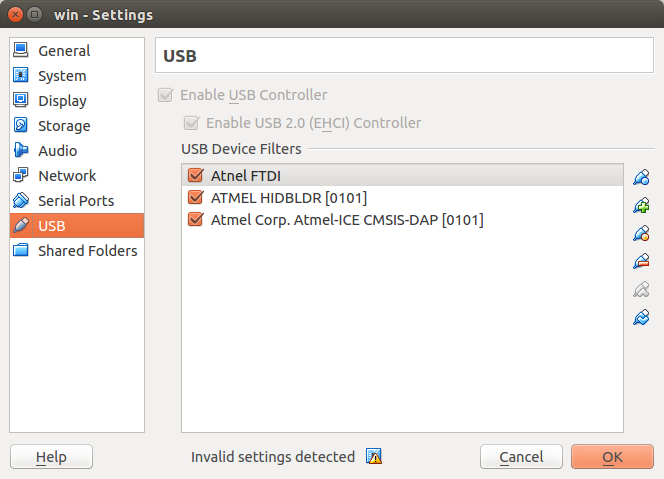 It worked OK with my JTAGICEmkII (USB1.1) but cannot even succeed in updating the firmware in my Atmel-ICE (USB 2.0). And, yes, I do have the "USB2 extension pack" for VirtualBox. Perhaps you might have more success with VMWare? Hmm, I install everything right now. I will try to update firmware. I will let you know. Anyway, windows and studio is so bloated, it will be PITA. If I manage to port it to studio, of course. Hi again! I managed to get studio up and running. Also, the firmware upgrade went well. I needed to add usb filters in vbox: when upgrade tool runs, click settings in vbox control windows, then USB, then and add usb filters for both cmsis and hidbldr device. They show automatically. Restart ice, then it runs ok.
Now, the ICE shows two leds - green and red, so the connection is probably ok.
Re: first screenshot, Insufficient quantity of USB endpoints? Usually this causes programming to work as expected but debug not to work as debug events are transmitted on a higher endpoint number. All works great now, thank you all for help! If you're willing to give a minute, literally, would you state the software versions and configurations (if applicable)? The physical setup in the picture, also some Vbox configs. More good news - I uninstalled 32-bit and ARM toolchains, also ASF . Now it works fast, and I have only 3GB RAM, 1512 for the Studio. I had debug session with mutliple recompilings, switching from ISP to dW and back, all went well. Hint - when some error happens, like 0x0c, and Studio cannot program your chip, off Studio, off Ice, on Ice, on Studio. Learning curve was very steep. I used Ice to debug more targets, attiny 85, 45 and 2313 with success on VBox. Thank you for advice. It was helpful for me. I have only 2GB RAM on my laptop. Studio working more faster now. 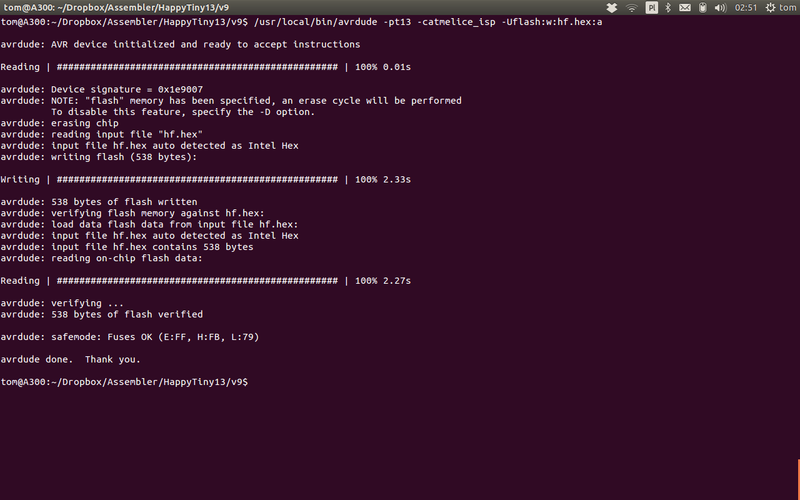 However I leave ARM toolchain. Sure, you must install whatever you need to use. I was looking to get a debugger, but noticed that the JTAGICE3 is no longer produced and that the ATMEL-ICE is the way to go. But then I found that AvaRICE doesn't support the ATMEL-ICE. I can't find anything conclusive still, so still no support? JTAGICE3 stock is very low. Just a few days ago, I stumbled over a post by Jörg ('dl8dtl') who is the one here that has his fingers deepest into the AVR-GCC/AVRlibc/AVRDUDEAVaRICE honey-pot. What he says you trust. In that post he said something akin to "Atmel is doing some fundamental changes to the debugging firmware/protocol that puts AVaRICE out of play completely". At least that is how I read/remember it. I am not sure at all if this applied to all debuggers, or only to one of them (and in the latter case, which one). I did a quick re-search yesterday but alas could not re-locate that post and thread. I'll make another attempt with a different strategy/approach. All above is "FWIW", "YMMV" and "Caveat Emptor". Note that it is a quite vague recollection..
Hmm. I wonder why. I hope you can find the reference. The Dragon is still widely available, it seems. Aside from the fact that it supposedly breaks from ESD from looking at it, would it be unwise to use that then? I hope you can find the reference. If we're lucky, then Jörg comes by this thread and knows what I am alluding to. I know I read that comment too but even if I ditch the search here and try at Google using "site:avrfreaks.net" and using Search tools to limit it to "last month" I cannot now find that post where Jörg mentioned the ICE3 but he definitely said that an imminent firmware update for ICE3 was going to break the avarice support. OTOH Atmel are making a big play of moving the "back end" in Studio 6/7 from their own debugger to using avr-gdb and that implies that they must have communication drivers for avr-gdb to talk over USB to all their programmers and debuggers. If so then if they'd just make that available in Linux too it should provide an alternative to avarice. So if the JTAGICE3 is going to be disabled, and the ATMEL-ICE doesn't work at all, what is one to do? Is the Dragon the only option? Is the Dragon the only option? Perhaps. And perhaps without any firmware upgrades of it. And that might eventually rule out debugging new devices. I have a licence for Rowley Crossworks for AVR. It supports Dragon, JTAGICE-1, JTAGICE-2 but they have never added JTAGICE-3 or ATMEL-ICE. For all the years that I have had Rowley, it has always debugged JTAG and debugWIRE just fine. It has never worried about the zillions of upgrades to Dragon or JTAGICE-2 firmware. In other words, it just uses the low-level JTAG or debugWIRE commands and communicates with the debugger via libusb (or RS232). So it does not suffer from the Atmel USB driver features or Studio. I have always assumed that the Studio debugger software makes full use of new and extra high level commands introduced by each firmware upgrade. Whereas Rowley just uses basic commands and handles the interpretation in software. So my guess would be that any Linux debugger software that uses the same approach as Rowley will work. After all Rowley operates natively on Mac, Linux and Windoze. It appears that Rowley have lost interest in AVR but I am sure that Paul would know exactly how to support ATMEL-ICE for AVR targets (if he wanted to). automatically also work for the Atmel-ICE. In other words, it just uses the low-level JTAG or debugWIRE commands and communicates with the debugger via libusb (or RS232). And parallel port for JTAG. Rowley appears to have a more recent AVR debugger interface via their debugger CrossConnect JTAG; XMEGA PDI is by the Atmel debuggers you listed. I do not possess a CrossConnect. Yes, I am sure that it will work with AVRs if it is included on the Targets menu. I think that I tried a Wiggler with Rowley on an old PC. It works fine with ARM but from memory, the Rowley AVR software did not work. Since current PCs do not have LPT, there seems little point in investigating Wigglers. IMHO, Keil or Rowley are preferable to AS6 for ARM development. AS6 is best for AVR. The Rowley debug environment is fine but their Compiler is only C and their Xmega model is horrible. And there is no Simulation of Peripherals. I asked on the AvaRICE mailing list. Apparently, the new firmware for the JTAGICE3 makes it into a Human Interface Device (as the Atmel-ICE is as well) and changes its USB vender/product IDs. 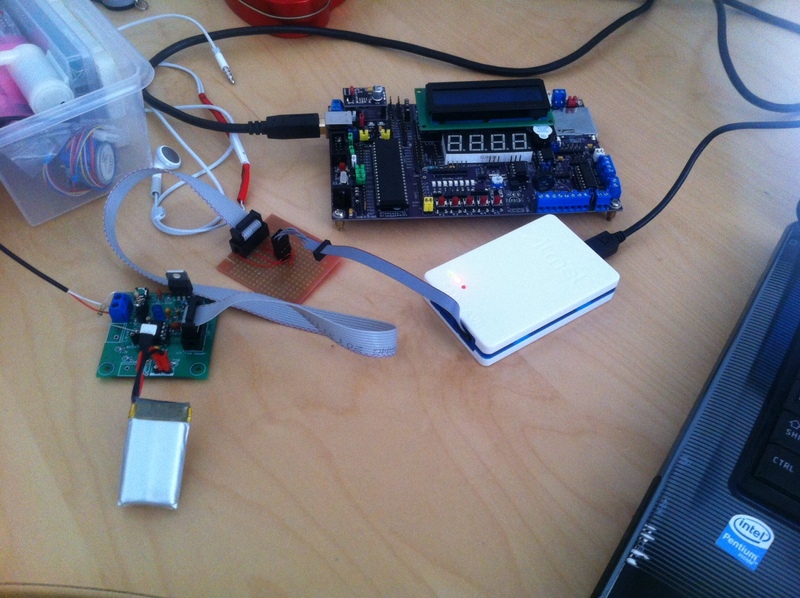 Avrdude supports the Atmel-ICE through libusb, but Jörg is not happy about that and would like this to be libhidapi. Should that be done, doing that to AvaRICE as well shouldn't too hard, is my understanding. I'm actually interested in picking this up. Might give it a try. This is used in all tools since JTAGICE3 fw version 3 (v2 used the older protocol). It has its roots in CMSIS-DAP with all the AVR stuff wrapped into the 'vendor space'. Is anybody using the ATMEL ICE with linux (without vbox+win)?! The code is in SVN now, but not yet as stable as I'd like it to have, before rolling a release.